The object was first seen on Oct. 19, 2017 by the Pan-STARRS 1 telescope in Hawaii, operated by the European Space Agency (ESO) and was then observed by multiple telescopes around the world. It had already passed closest to the Sun in its orbit and was now heading out of the Solar System again, so astronomers had to act fast to see it. 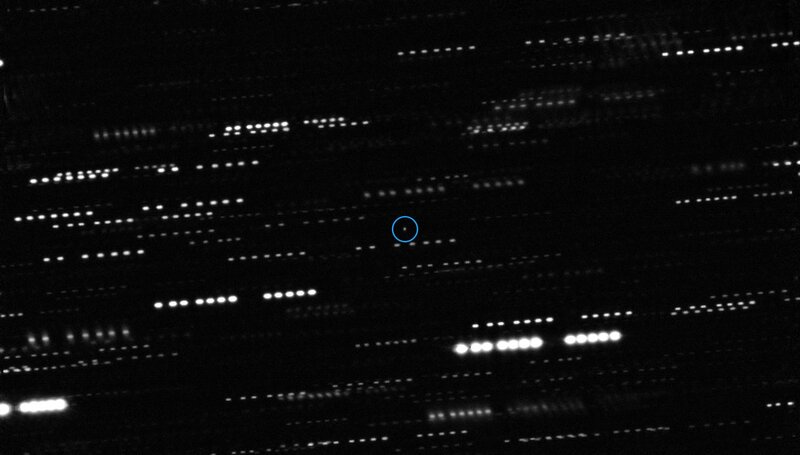 Combined multiple images from ESO’s Very Large Telescope and Gemini South Telescope showing ‘Oumuamua (circled). Other dots are the smeared trails of stars. Image Credit: ESO/K. Meech et al. The light curve of ‘Oumuamua, showing how the object varied in brightness during three days in October 2017, by about a factor of ten (2.5 magnitudes), due to its very elongated shape. The object rotates every 7.3 hours. Image Credit: ESO/K. Meech et al. Astronomers were able to measure both the object’s brightness and colour with ESO’s Very Large Telescope in Chile. By combining images from the FORS instrument on the VLT using four different filters, with those of other large telescopes, astronomers found that ‘Oumuamua varied dramatically in brightness by a factor of ten as it spun on its axis every 7.3 hours. 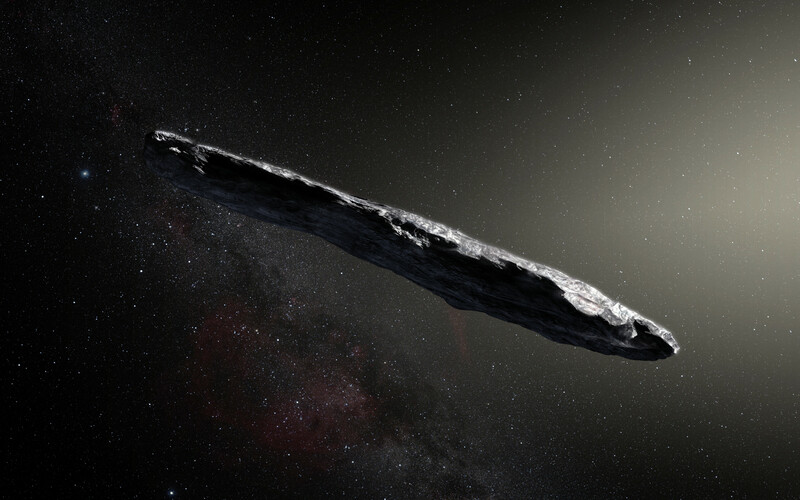 In other words, this odd interstellar asteroid is shaped like a giant cigar, something not typically seen in our Solar System, and is estimated to be about 400 metres (1,312 feet) long. ‘Oumuamua appears to be dense, rocky or with high metal content, has little or no water or ice and a surface darkened and reddened due to the effects of irradiation from cosmic rays over millions of years. 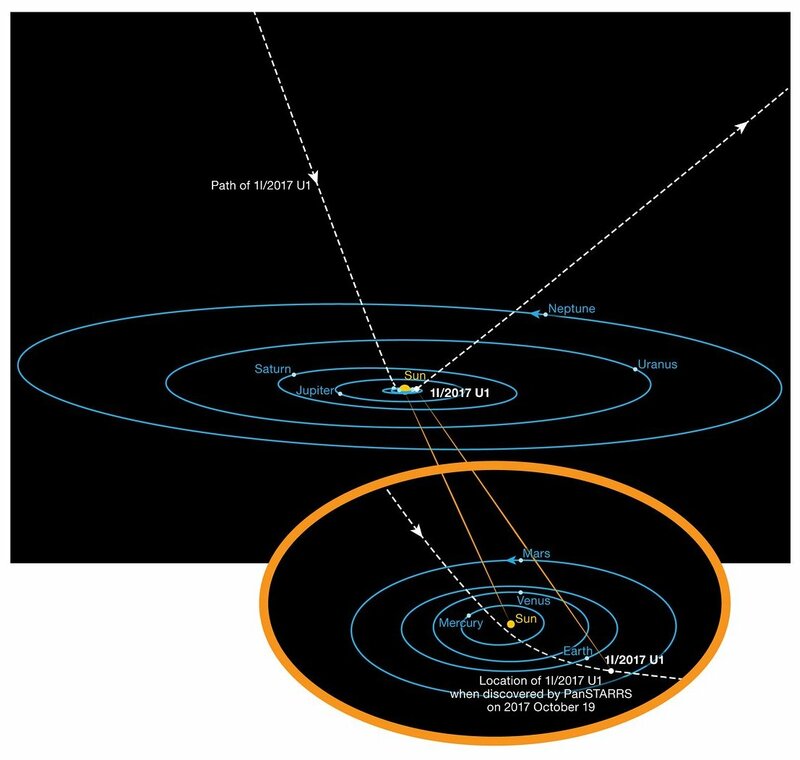 Diagram depicting the trajectory of ‘Oumuamua through our Solar System. Image Credit: ESO/K. Meech et al. Analysis of its orbit indicates that it most likely originated from the direction of the star Vega, traveling at around 95,000 kilometres/hour (59,030 miles/hour). This is the first time that such an interstellar asteroid has been seen entering our Solar System, but astronomers estimate that there may be other ones about once per year or so. 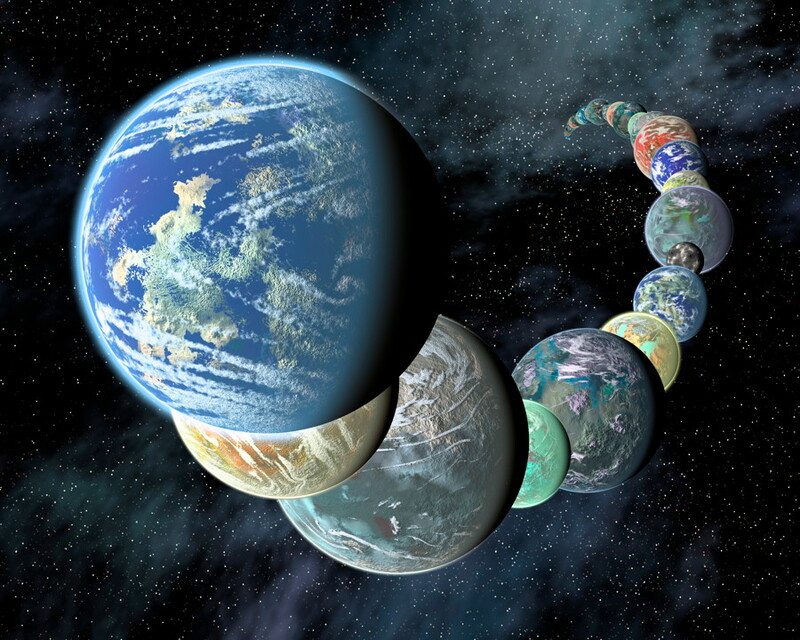 “We have long suspected that these objects should exist, because during the process of planet formation a lot of material should be ejected from planetary systems. What’s most surprising is that we’ve never seen interstellar objects pass through before,” said Meech. The discovery is reminiscent of the science fiction classic Rendezvous with Rama by Arthur C. Clarke where a huge cylindrical alien vessel enters the Solar System, initially mistaken for an asteroid. In this case, the object is probably natural based on what is known about it so far, but it is weird. The new paper is available here (subscription/purchase). A new paper states that, like Hyperion, Oumuamua is tumbling chaotically.